Making time for reading is important if you want your children to grow up to love books and reading. In days gone by, no-one had to really make time for reading. Before TV, computers and electronic games, reading was one of the only entertainment options available for children, especially when the weather was bad. These days, children often need a bit of encouragement to read and incorporating some time to read into your daily schedule is an important part of raising a reader. It can really kick-start the reading habit so it's worth planning for and making sure it happens. As with most aspects of parenting, this works best if you start when your children are young. I know the days can be frantic and this sounds like just one more thing to schedule in but it really is worth doing it. Get some basic habits happening and your children will grow up reading and enjoying reading as a matter of course. from your baby's earliest days, set aside the time just before bed for reading. Get your baby ready for bed, then find a quiet spot and read read a short story or a few short poems. It's really important that you do this somewhere quiet and free from distractions. Don't have the TV on in the background and don't break off halfway through to talk to someone. Focus on your baby and your reading. 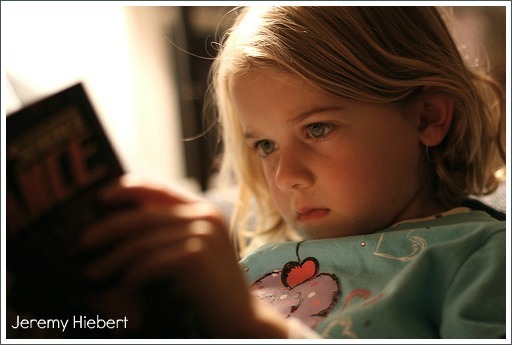 once your child is about four, read aloud before bedtime but then tell him that, since he's a big boy now, he is allowed some extra time to read to himself before the light goes out. To begin with, this can just be an extra five or ten minutes, after which you come back, say goodnight and switch the light off. 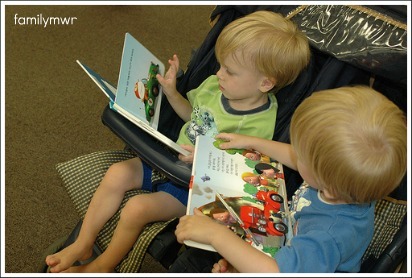 As your child grows and learns to read independently, you may like to allow him half an hour of reading time. think about the structure of your day and try to plan other times for reading. If your children are small, a story just before the afternoon nap is a lovely tradition to start. make a conscious decision not to have the TV on all the time and to limit your children's screen time. Even young children are now spending large amounts of time playing electronic games and watching TV and it's not good for them for a whole host of reasons. if your children are young, keep a couple of books in your handbag and read to them when you're waiting somewhere, for example, at the doctor's surgery or at the airport. read to your child when he or she is sick. This is surprisingly comforting for children - much better than the TV! As children get older, they often slip into the habit of switching on the TV, computer, X-Box or Playstation when they have free time. As we all know, these electronic entertainers are great fun but as adults we also know that they can be great time-wasters. It really is incredible how easy it is for half an hour in front of a screen of some kind to slip into an hour and then two or three before we know it. I feel quite strongly that, as parents, we have a responsibility to help our children manage their time so that they do the things that are important including, of course, reading. In our house, this involves family discussions about screen time and limits set by my husband and I. From time to time we also find we have to steer our teenagers back on track if they’re not reading regularly. I know that for some people ‘making’ kids read might seem a bit harsh but if it’s important to you that they read, I really don’t see anything wrong with it. What you’re really doing is encouraging an important habit with the aim that it becomes something they do well and an accepted part of their lives. In a way, it’s like brushing their teeth. Most kids go through a stage where they hate doing it but it’s important for their long-term health so we insist! If you're in any doubt about whether you should make an effort to get your kids away from electronic screens and into reading, have a look at this short clip featuring pediatric neurosurgeon Dr Ben Carson. Dr Carson's story is well-known in the US but not so well-known in Australia. In a nutshell, Ben came from a very poor, single-parent family and was failing at school until his mother took action. She limited Ben and his brother to watching only two or three TV programs a week and insisted they read two books each a week and write reports on them for her to read. If you're interested in reading more about Ben Carson, I highly recommend the book Gifted Hands. It's inspiring and very easy to read. There's also a version written for children which is great for kids aged from about eight up.